In most Florida wrongful death lawsuits, it’s often a simple matter to link defendant (the person alleged to be legally at-fault) with the conduct that resulted in death. For example: A drunk driver swerves off the road and slams into a tree, killing a passenger. The defendant’s negligent conduct caused the passenger’s death. It can get complicated, though, when we’re dealing with liability for a loved one’s suicide. This is where that causal link (referred to in court as “causation”) becomes difficult to prove. A person who commits suicide is the direct cause of his or her own death. But the question becomes: Was defendant’s action or inaction a substantial factor in decedent’s suicide? Courts will also ask whether decedent’s actions were reasonably foreseeable. There are no hard-and-fast rules for when a defendant may be legally liable for someone else’s suicide, but we have noticed an increase in such cases. Recently in Wakulla County, the parents of a 15-year-old who tragically committed suicide have filed a wrongful death lawsuit against the school and one of his middle school teachers. The lawsuit alleges the teacher and the school are party to blame for the teen’s death following allegations of inappropriate contact between the teacher and the 8th-grader. The teen died in August 2015. The teacher was arrested in January, charged with contributing to the delinquency of a minor. Specifically, the 50-year-old was convicted of allowing a boy to drive her car while another teen boy was a back seat passenger and she supplied them both with alcohol. She was sentenced to 30 days in jail, 30 days in a jail work camp and two years of probation. 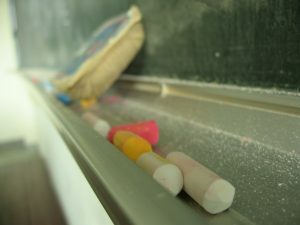 The Florida Department of Law Enforcement (FDLE) is also investigating allegations of sexual battery by the teacher against the student. According to the lawsuit, the boy suffered mental anguish, loss of capacity for life enjoyment and ultimately death due to the sexual battery he suffered. As for the school board, complainants assert the school was negligent in failing to protect students from harassment from employees. The lawsuit also names the local sheriff’s office, alleging the school resource officer was negligent in failing to intervene once the inappropriate relationship was discovered. The family said they were not aware their son had an inappropriate relationship with his former teacher until after his death, when they were informed by sheriff’s officials – not the school district. This was despite the fact that months earlier, the school board had obtained security camera video of the two in an intimate posture in the hallway, leading to a decision by school administrators to remove the boy from her classes because she had become “too familiar” with him. She was reprimanded by the school district in May 2015 – three months before the teen’s death – for improper interaction with certain students. Plaintiffs are seeking damages for mental pain and suffering, funeral expenses, lost earnings, lost support and services and outstanding medical expenses. Plaintiff attorney said there will be additional evidence to support allegations of a sexual relationship between the two prior to his death – evidence that prosecutors were barred from presenting in the criminal case. Numerous similar cases have proven successful in holding a third party liable for one’s suicide. Those include the 1991 case of Eisel v. Board of Education of Montgomery County, Maryland, wherein the court held school counselors have as duty to use reasonable means to attempt to prevent suicide when they are placed on notice of a student’s suicidal intent. However, other courts, such as the U.S. Court of Appeals for the Fourth Circuit, have subsequently held that Eisel dealt only with duty to act on “imminent threats,” not “non-imminent” threats. In Florida, as our wrongful death lawyers in Fort Myers know, there was the 1995 case of Wyke v. Polk County School Board. In that instance, a 13-year-old student committed suicide by hanging in his backyard. Several days earlier, he had twice attempted to hang himself during school hours on school grounds. The Eleventh Circuit Court of Appeals, in affirming a verdict in favor of plaintiff against the school district, found officials at the school were made “somewhat aware” of the incidents at school, but did nothing to hold the child in protective custody, provide or obtain protective counseling for him or notify his family. The 11th Circuit ruled the evidence and the law supported holding the school board liable for his death because under Florida law, school administrators have a duty to supervise students. A violation of this duty occurs when school administrators, with their knowledge and authority, fail to act as reasonable people would under the same or similar circumstances.